Very Good. 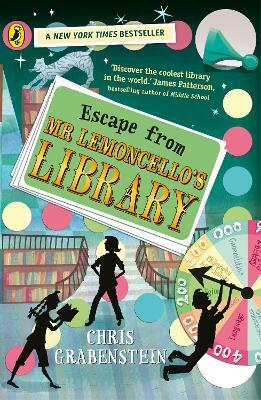 Escape from Mr. Lemoncello's Library by Grabenstein, Chris, 2014-07-21. Trade paperback (US). Glued binding. 290 p. Mr. Lemoncello's Library, 1. Intended for a juvenile audience. Very Good. Escape from Mr. Lemoncello's Library by Grabenstein, Chris, 2013-06-25. Sewn binding. Paper over boards. With dust jacket. 291 p. Mr. Lemoncello's Library, 1. Intended for a juvenile audience.